In covering the visit of Elder Ephraim, Abbot of the Vatopaidi Monastery on Mt. Athos, to the United States, I had the opportunity last week to visit the St. Nicholas National Shrine at Ground Zero in New York, and really it was a very painful and heartbreaking sight, and experience. I had not visited there in quite a while, and seeing what I saw was quite a traumatic shock. The building was locked, as construction halted nine months earlier due to the Archdiocese’s lack of funds, which ultimately caused it to mortgage its two office buildings in Manhattan to incur a bank loan to pay its debts. Tragic and unacceptable though it is, the sad reality is that this is part of the legacy Archbishop Demetrios leaves behind. 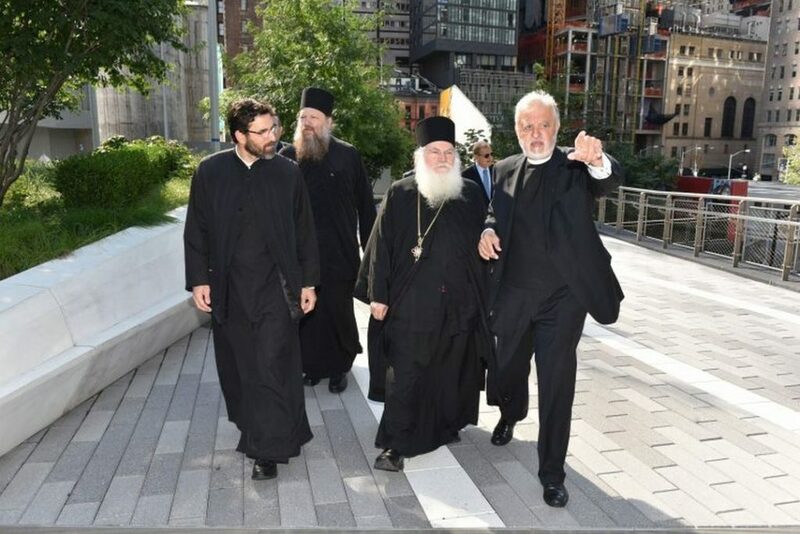 To be fair, it is not only he who is responsible, but the total incompetence of the members of the Archdiocese’s Eparchial Synod, who claim they did not know anything about the financial problems regarding the Shrine or the Archdiocese in general. 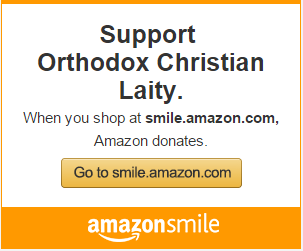 Yet they continue to be Archdiocesan hierarchs. And certainly, the so-called Archdiocesan Council is responsible for the entire mess. Thanks to Andrew Veniopoulos, who was kind enough to open the Shrine we were able to look inside. Again, it was a very sad sight because it resembles a warehouse, with building materials thrown here and there. 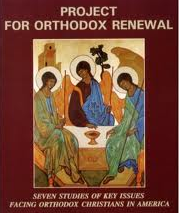 Never mind the design, which has not even the slightest form of Orthodox structure. The Shrine remains the only building destroyed on 9/11 that has yet to be restored. Instead, it remains unfinished and deserted, covered by some kind of white nylon material. It is really a shame, not only for the Archdiocese but for the entire Greek-American community, and for Hellenism throughout the world; this St. Nicholas Shrine drama is now well-known internationally. The pain and anguish increase with the awareness that possibly, someday, the state and local government say: enough delay; this building must be used for other purposes. After all, it is the only impediment in what has enjoyed a renaissance as a bustling, state-of-the-art area of New York City. There are many pressing questions that need answers. Among them: who decided on the design of the Shrine, and using what criteria? Who decided to hire the architect Santiago Calatrava to draw up the plans? Why has the cost been skyrocketing? When will the report about the Shrine’s finances be made public, considering we are now in mid-October? And when will construction resume? As this project is now expected to cost $80 million, things could have been very different. instead, there is drama. The drama of our Church in America, which has a name: lack of leadership. And for that, we are all responsible.